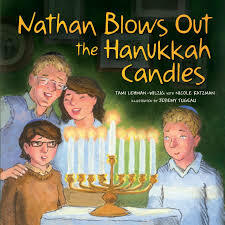 Chanukah is fast approaching. We hope the following books will help you share the miracle of this holiday to capture the hearts and imaginations of children 0-10. 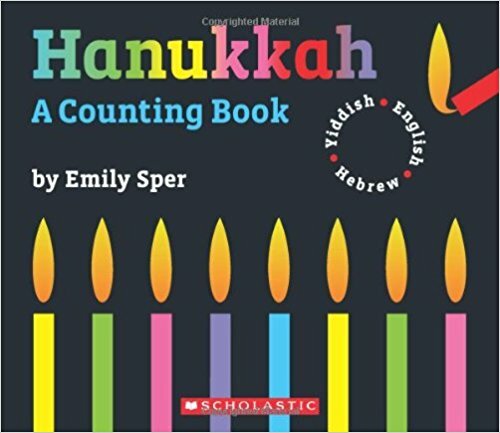 As you prepare to celebrate with your family, please sing, create, share and learn with any of the resources we’ve curated on our Chanukah resource page. You can always search our resources and filter by age group or resources type if you want more ideas or to explore a different topic! These are guidelines, but there is some wiggle room here- each child is different- so use your own discretion! Your 2 year old might be ready for the book recommended for 4 year olds, and the 9 year old book might be too much for your 10 year old. In baby’s first year, establishing connected routines that help prepare the family to celebrate in meaningful ways can be done in an ENORMOUS number of ways- I like this book because my two year old toddler can ‘read’ the book to my 9 month old baby and the textures provoke all sorts of exploration for both of them. 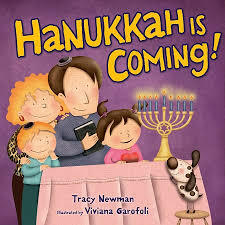 The refrain "Hanukkah is coming" is on every page of this sturdy board book, encouraging active participation for even barely verbal toddlers. When I share this story, I point to those words and my daughter delights in recognizing the pattern of the words as well as the familiar imagery the book offers. 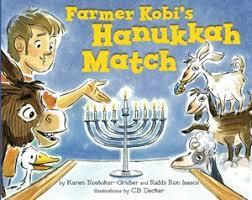 Many varieties of Hanukkah counting books are available (Sesame Street even produced one) but I like this one best. It is sturdy and the cut-outs on each page of the board book version add another level of sensory interest. Contrast colors draw attention from even the littlest eyes and I love that it exposes the reader to three different languages. is book is based on the familiar song by the same name. 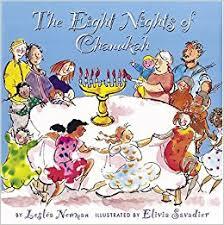 I tend to avoid Jewish songs and stories based on Christian traditions- but for this, I made an exception- my toddler has no idea that this book was inspired by a Christmas carol and I enjoy the repetition and rhyme this book offers. 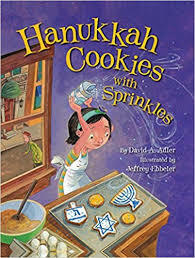 In this Hanukkah story, lots of animal sounds and silly scenarios engage children while also highlighting important Jewish values- compassion for animals and welcoming guests. 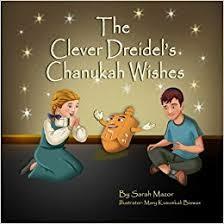 The text of the story can be sung to the tune of “The Dreidel Song” and details different types of blessings, sources of gratitude, and ways to celebrate the non-material gifts in our lives. The illustrations aren’t the richest- but the re-framing of each night as an opportunity to ask for and share blessings is a wonderful way to counter what seem to be the default focus on gifts and getting in many other books. I love this story not only for the story itself but for presenting children with the dynamics of a family that might be different than their own. Families with or without a child who has special needs can recognize the love, concern and frustration that siblings and parents encounter. This story supports Jewish kids who live as a minority population in their classroom understand that their experience isn’t unique, and learn to have pride and work towards inclusion from the examples the characters give. 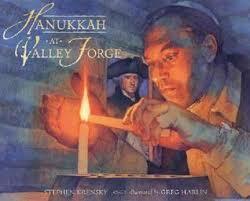 It can also offer perspective to children in large Jewish populations that their experience is exceptional. This is a wonderful story of kindness, inclusion and the power of good deeds. I also love that the family pictured appears to be a Mom, a Grandma, and a girl. 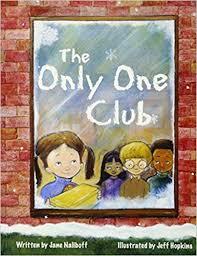 While no mention is made of this being a non-traditional family, the book provides an opportunity for kids who don’t live in a two parent household to recognize themselves in a story. 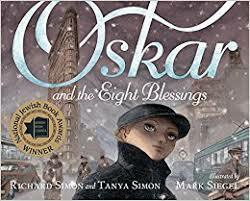 9 Oskar and the Eight Blessings by Tanya and Richard Simon Illustrated by Mark Siegel. A story about a refugee seeking sanctuary, Oskar is heartwarming and meaningful and will impact both children and adults. The contemporary refugee crisis makes this book especially relevant and can serve as a talking point to help you discuss what your child knows and what you want them to understand about it. This historical fiction tells a story connected to the celebration that is a based on an anecdote- the book includes an author’s note that details the historical facts relating to the story which provided an interesting perspective for students already familiar with the ancient version of the tale. 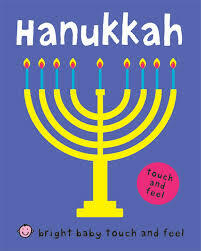 These are certainly not the only 11 great Chanukah books available- but they are a collection of my favorite Hanukkah books for kids. Please send any other suggestions you might have to [email protected] and we can read and review them, too!